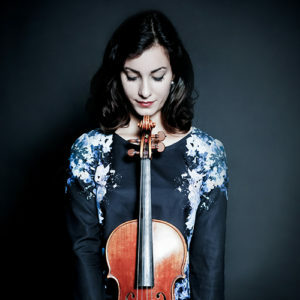 American/Iranian violist Muriel Razavi is currently a master’s student at the Felix Mendelssohn Bartholdy Hochschule für Musik und Theater Leipzig and studies with Tatjana Masurenko. Prior to her time in Leipzig, she studied with Tabea Zimmermann from 2012 to 2017. Ms. Razavi has been a participant of the Balthasar Neumann Academy since 2016. She is also a baroque violist in the Balthasar Neumann Ensemble, and an active member of the West Eastern Divan Orchestra founded by Daniel Barenboim and Le Concert Olympique led by Jan Caeyers. Ms. Razavi has been a prizewinner at the 2016 International Viola Competition “Città di Cremona” in Italy and the 2017 Michael Spisak International Music Competition in Poland. She has participated in master classes with Rainer Kussmaul, Hatto Beyerle Wolfram Christ, Nobuko Imai, and Jean Sulem, and has been invited to be a participant of various international music festivals such as the Semanas Musicales de Frutillar in Chile, International Seiji Ozawa Academy in Switzerland, and Zermatt Music Festival & Academy with the Scharoun Ensemble of the Berlin Philharmonic.